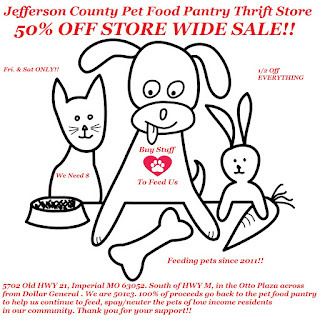 Jefferson County Pet Food Pantry : 50% OFF Store Wide SALE Fri. 9/25 & Sat. 9/26 !! 50% OFF Store Wide SALE Fri. 9/25 & Sat. 9/26 !! First time EVER!! 50% OFF EVERYTHING!! We have been very blessed with donations and are running out of space. We need to make room for all of the new items we have in storage. We have so many great items already priced to sell, but this Friday and Saturday you can get them ½ off! Books, house-wares, bar-ware, glass-ware, collectibles, antiques, name-brand clothing, shoes, purses, pottery, jewelry, pet items, games, videos, electronics and much more!! 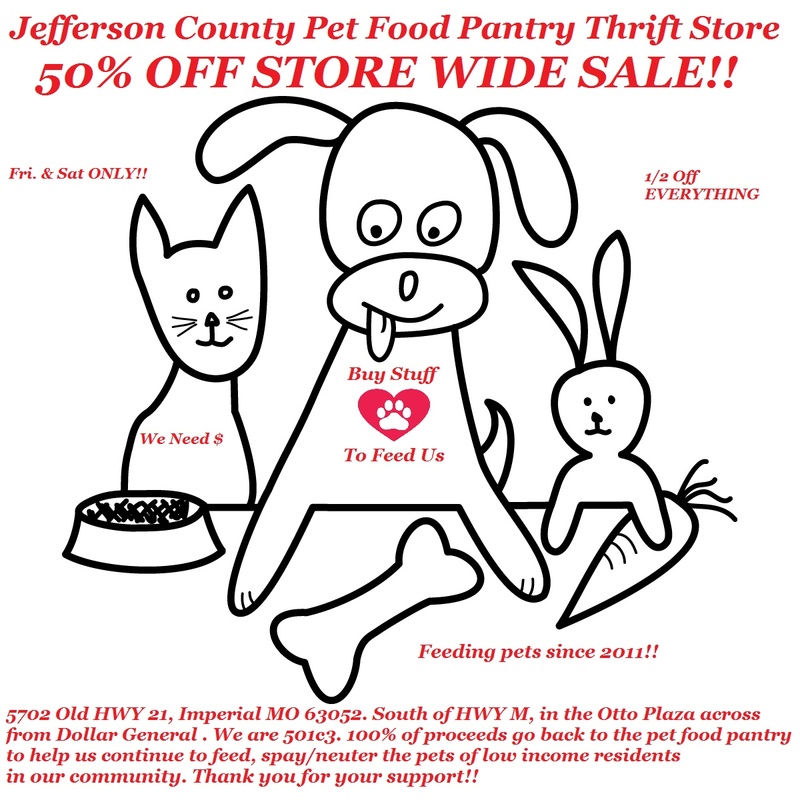 100% of our sales go back to the pet food pantry to help us continue to feed, spay/neuter and educate low income pet owners in our community. We are 501c3, volunteer based , we rely on donations and sales from our thrift store.